On March 9th we were celebrating a family birthday party and held a mini wine tasting of the locally available Apothic Red wines from E. + J. Gallo Wines. . Our quest was to find inexpensive wines suitable for everyday drinking, something well known, easily available almost everywhere, that you will undoubtedly run into often at parties, barbeques and family gatherings. 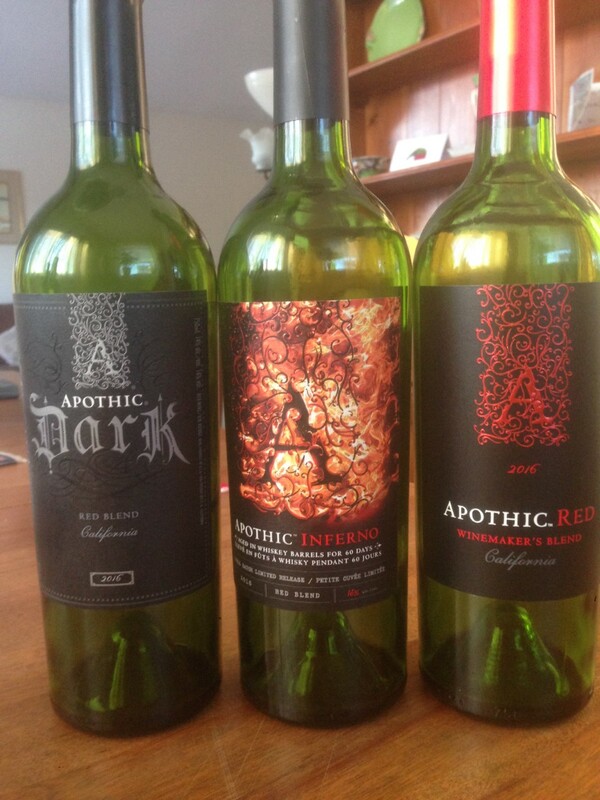 We tasted the classic Apothic Red, the Apothic Dark, and the Apothic Inferno. Below you will find our collective thoughts on these wines. 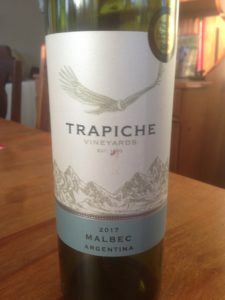 We started with a tune-up wine to get everyone settled around the table, so we tried the Trapiche Malbec 2017, a simple inexpensive red wine that we purchased for $9.95 at the SAQ (Quebec Liquor board). This wine hails from the Mendoza region of Argentina. The wine was young, thin, and a little acidic, and we should have decanted it for at least another 3 hours to soften it up further. Nevertheless, the wine performed very well with a variety of different foods and appetizers, ranging from smoked gouda cheese and baguette to shrimp in garlic butter. I found that the acidity in the wine cut right through the salt in the garlic butter and really enhanced the garlic taste, quite a pleasant match. I would score this at 86 points, pretty good value for the money. 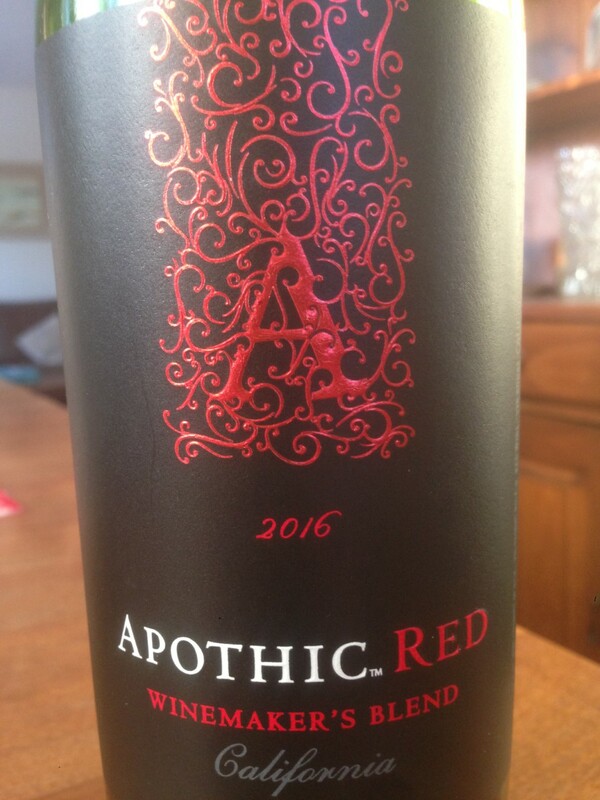 So we moved on to the Apothic Red 2016, which had been decanted for 3 hours. 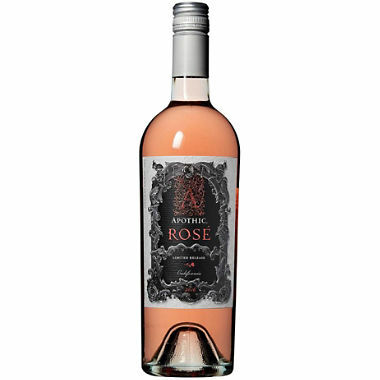 This wine costs $14.95 at the SAQ in Quebec (product # 11315497), $16.95 at the LCBO in Ontario (product # 234369), and under $10.00 throughout the US. The wine is a blend of Zinfandel, Merlot, Syrah, and Cabernet Sauvignon. On the palate this wine tasted of chocolate, mocha, vanilla, and black cherry. The wine was open and opulent, full, fat, round and thick, silky smooth with an elegant spicy chocolate aftertaste that evolved into a caramel flavor. For a red wine, there was a marked sweetness to it, which was confirmed by the high sugar level of 16.4 grams of sugar per liter of wine. 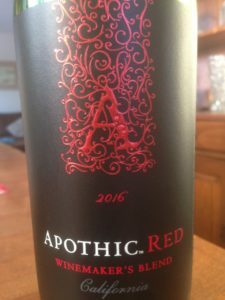 Given the unusually high sugar content of this red wine we experimented with various food combinations to see what worked well with Apothic Red. This wine works very well with barbeque sauce, and the wine enhances the smoky barbeque sauce flavor on all meats. What that means is that the wine is sweeter than the barbeque sauce, which we all know is sweet to begin with. I also tried the wine with melted brie cheese on a baguette, topped with a hot pepper jelly. The jelly was sweeter than the wine and completely destroyed the taste of the wine. So readers should be careful what foods you pair with this wine, not everything works well. Just make sure the foods you match with this wine are not as sweet as the wine itself. 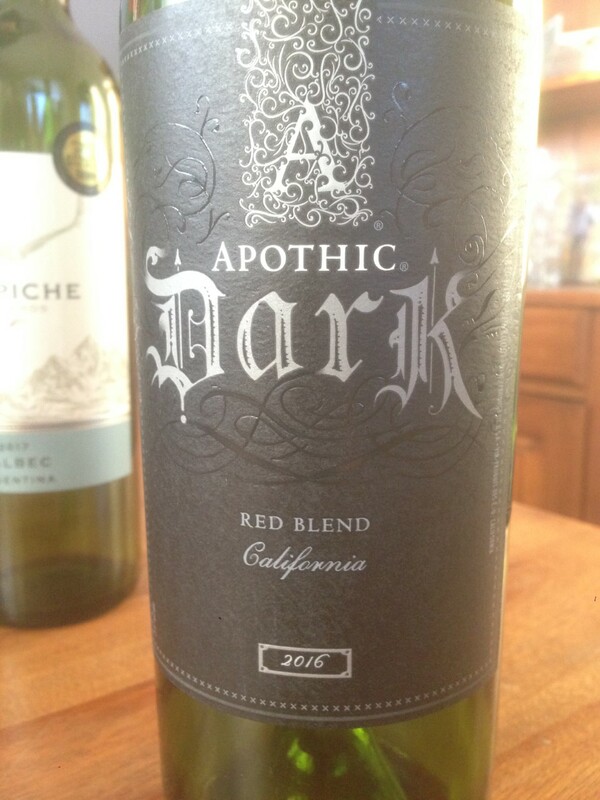 Next we tried the Apothic Dark 2016. This wine costs $14.95 in Quebec (product # 12740840), $16.95 in Ontario (product # 392654) and under $10.00 throughout the US. Again this is a red blend, with blueberry and blackberry flavors, coffee, and dark chocolate on the palate. 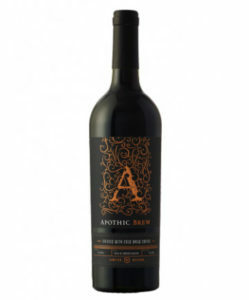 Think of Apothic Dark as a toned down, less sweet version of Apothic Red, with less mocha, vanilla and spice. In fact, as we all know, dark chocolate is usually not as sweet as milk chocolate, and that is exactly what you get with Apothic Dark. This wine is therefore softer, lighter, and a little better balanced as a result. It is also a little more versatile when it comes to pairing with various foods. Finally, we tasted the Apothic Inferno 2016, available in Quebec at $19.95 (product # 13520638), Ontario at $19.95 (product # 485623), and throughout the US at $12.00 or less. This wine is once again a blend of Zinfandel (45%), Syrah (24%), Merlot (19%), and Petite Syrah (12%). Then it is aged for 60 days in whiskey barrels. The finished product is a whopping 15.9% alcohol (which explains why my tasting notes were getting a little fuzzy). On the palate you get red and dark fruit flavors, maple, vanilla, and charred spice. 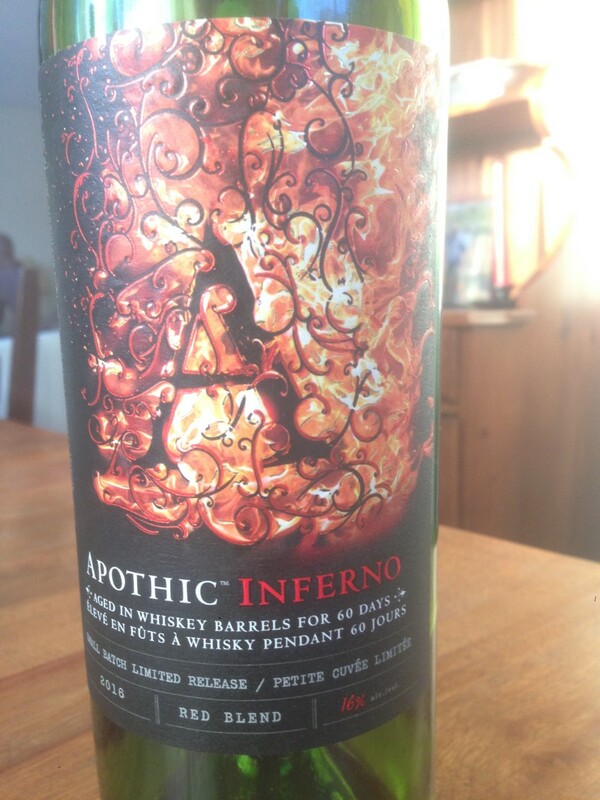 That charred spice has a definite whiskey flavor to it, courtesy of those whiskey barrels. The sugar content is much lower at 5.6 grams per liter, and the wine is much more subtle, soft and refined as a result. 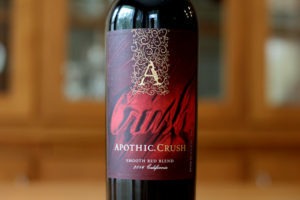 Apothic Crush – $16.95 in Quebec (product # 13527961), $16.95 in Ontario (product # 428599), and about $10.00 throughout the US. This wine is a blend of 66% Petite Syrah, 19% Teroldego, and 15% Cabernet Sauvignon and has a residual sugar level of 10 grams per liter. The wine tastes of red fruit, caramel and chocolate according to their website. Apothic Brew Red – $18.95 in Ontario (product # 618785) and about $12.00 throughout the US. This wine tastes of red fruit, toasted oak, and cold brew coffee, because it has literally been infused with cold brew coffee. Coffee lovers will certainly enjoy this wine. 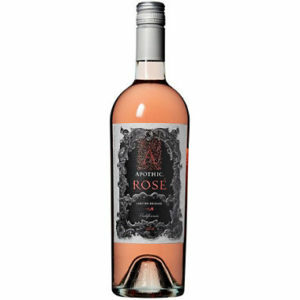 Apothic Rosé – $16.95 in Ontario (product # 545780), and about $10.00 or less throughout the US. This wine is a blend of Zinfandel and Cabernet Sauvignon and is made “off dry” (meaning it is slightly sweet), and presents strawberry, watermelon, and raspberry flavors on the palate. Apothic White – $16.95 in Ontario (product # 419978), and about $10.00 or less throughout the US. This wine is a blend of Chardonnay, Riesling, and Pinot Grigio and presents peach, apricot, and floral flavors on the palate leaving you with a crisp, balanced finish. 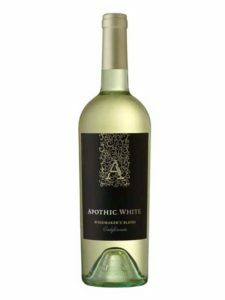 All the Apothic wines are made to be big and bold, and if you visit their website at https://www.apothic.com that is exactly the impression you get. These wines are inexpensive, easily available throughout North America and exported to over 100 different countries. These wines are also very popular and sell over 2 million cases per year. You should get to know them because if you have not tasted them yet, you will for sure run into them soon at a wine tasting party, a summer barbeque or some other social event or party (for which they are perfectly suited). You will note that the Apothic series of wines is produced and distributed by E. + J. Gallo Wines. In addition to their Apothic wines, the Gallo family also produce several other well-known brands including: Alamos, Barefoot, Columbia Winery, Chateau Souverain, Carnivore, Dark Horse, Davinci, Edna Valley, Louis M. Martini, Livingston Cellars, Liberty Creek, Red Rock Winery, Talbott Vineyards, Turning Leaf, and William Hill Estate, plus over another 85 brands. If you think selling 2 million cases of Apothic per year is big, Liberty Creek sells 3 million cases per year, and Barefoot does a whopping 20 million cases per year. So make no mistake about it, E. + J. Gallo Wines is a huge family owned private business. The business was established in 1933, is headquartered in Modesto California, employs over 6,500 people, owns 15 wineries in both California and Washington, has over 23,000 acres of vineyards in California alone, and distributes over 100 different brands of wine to over 110 different countries. Estimated annual income is approximately $5 billion US, the E. + J. Gallo Wines company itself is worth about $10 billion US, and the Gallo family themselves are worth over $10 billion US. For more information about the full line of E. + J. Gallo brands and wines, go to their website at www.gallo.com where you can easily navigate through to all of their different brands. And if the Gallo family of wines is not big enough for you yet, they just announced on April 3rd a $1.7 billion US acquisition of another 30 brands of wine from Constellation Brands. Some of those brands recently bought in that transaction include: Clos du Bois, Black Fox, Estancia, Mark West, Wild Horse, Franciscan, Ravenswood, and Hogue Cellars. Also included in the package are 6 winemaking facilities in California, Washington, and New York and no doubt thousands more acres of vineyards. My apologies if my numbers or estimates are inaccurate because the Gallo empire is a private company and financials are not disclosed, so compiling information is difficult. It would also be inaccurate to assume that all E. + J. Gallo wines are geared towards the lower end of the market. 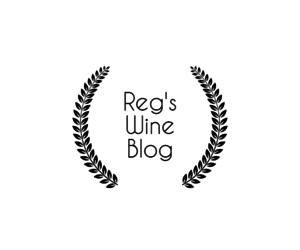 Wines such as the 2015 William Hill Benchmark Red Blend at $100.00 US, or the 2015 Talbott Vineyards Audrey Chardonnay at $75.00 US, are not geared towards the lower end of the market. So readers please take note, the E. + J. Gallo family of wines is huge, highly diversified, and getting bigger all the time. They make something for everyone, and with now over 130 different brands (each with their own line of wines) they must make well over 1,000 different wines. These guys are clearly doing something right, as our tasting of the Apothic wines mentioned above, clearly confirms. Post # 67 – Understanding Restaurant Wine Lists, How to Navigate Your Way Through Them.